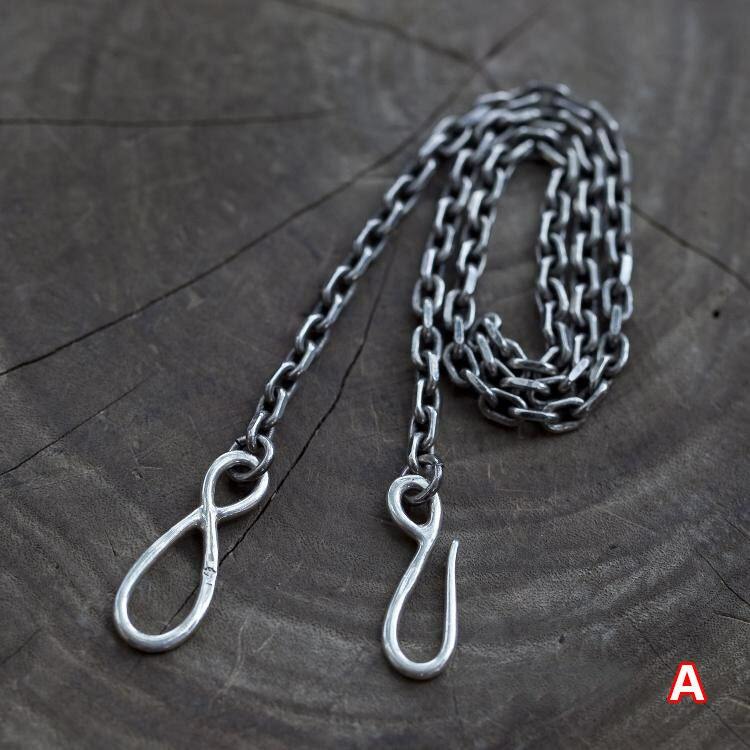 This simple silver chain is ideal for building up your own necklace - just add pendants and charms of your choice, and you are good to go. 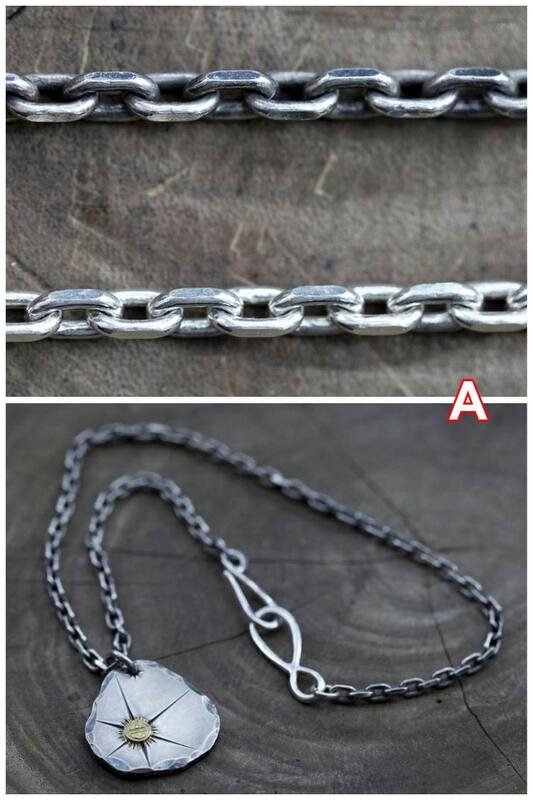 Crafted in 925 sterling silver, the stark design of the plain silver chain is great if you are looking for men’s necklaces. The only embellishment comes from the oversized closure - one crafted as an infinite loop, and the other as a fish hook. Note: We will engrave our small logo on the hook clasp, we NEVER sell any jewelry without our logo. Available in two thickness choices. This item is only a basic necklace. 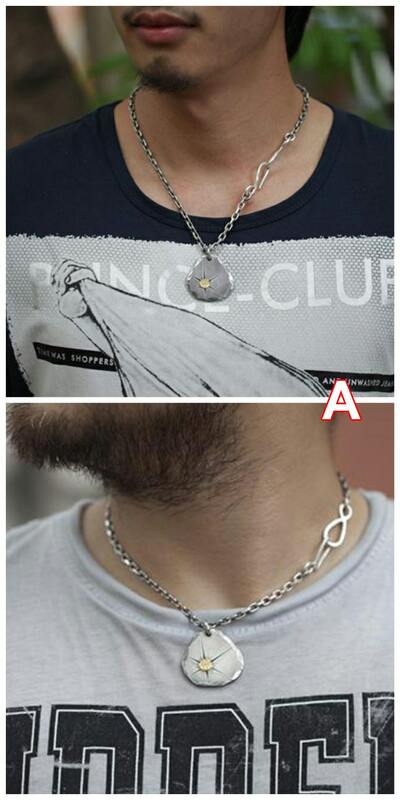 Pendants shown on the pictures Are Not Included but are available for purchase separately. 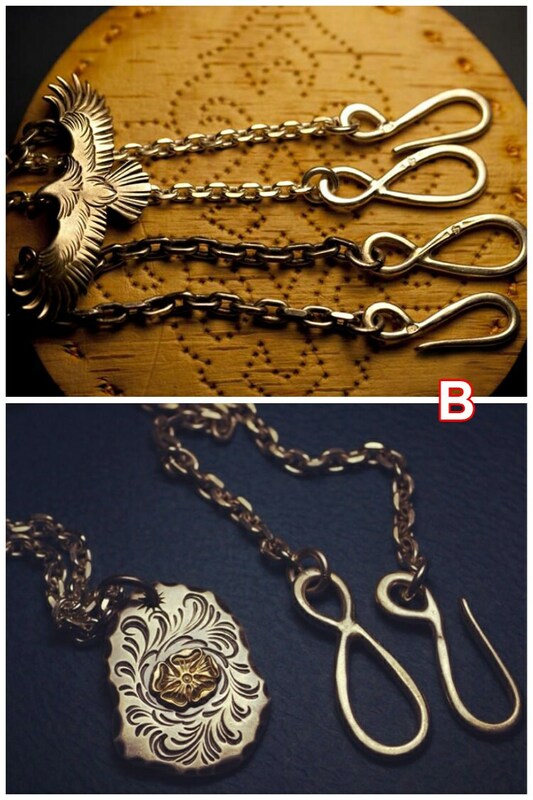 Necklace Length Options (including hook clasp): 45cm/17.7inch, 50cm/19.7inch, 55cm/21.7inch, 60cm/23.6inch. 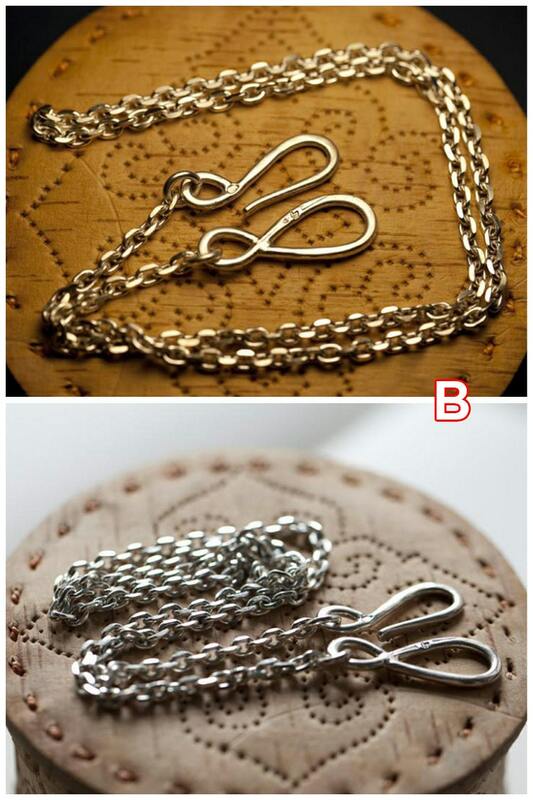 Necklace Length Options (including hook clasp): 50cm/19.7inch, 55cm/21.7inch, 60cm/23.6inch, 65cm/25.6inch. The plain silver chain necklace is available in two finishes - the original, shiny silver finish, and an oxidized, vintage finish. The oxidation of silver is achieved by treating the piece with sulfide, and it creates a tarnished, antique look. The oxidization process is random, which makes each piece totally unique - the piece that you get is only one of its kind! If you want the vintage, oxidized finish, please leave us a note when placing your order.